The Sun is a G-type main-sequence star (G2V) based on its spectral class. As such, it is informally referred to as a yellow dwarf. It formed approximately 4.6 billion years ago from the gravitational collapse of matter within a region of a large molecular cloud. Most of this matter gathered in the center, whereas the rest flattened into an orbiting disk that became the Solar System. The central mass became so hot and dense that it eventually initiated nuclear fusion in its core. It is thought that almost all stars form by this process. The Sun is roughly middle-aged; it has not changed dramatically for more than four billion years, and will remain fairly stable for more than another five billion years. 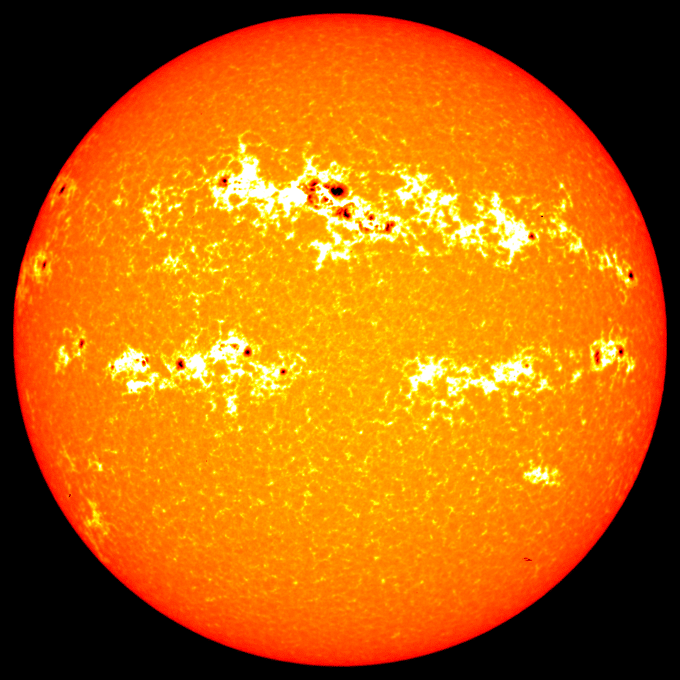 After hydrogen fusion in its core has diminished to the point at which it is no longer in hydrostatic equilibrium, the core of the Sun will experience a marked increase in density and temperature while its outer layers expand to eventually become a red giant. It is calculated that the Sun will become sufficiently large to engulf the current orbits of Mercury and Venus, and render Earth uninhabitable.